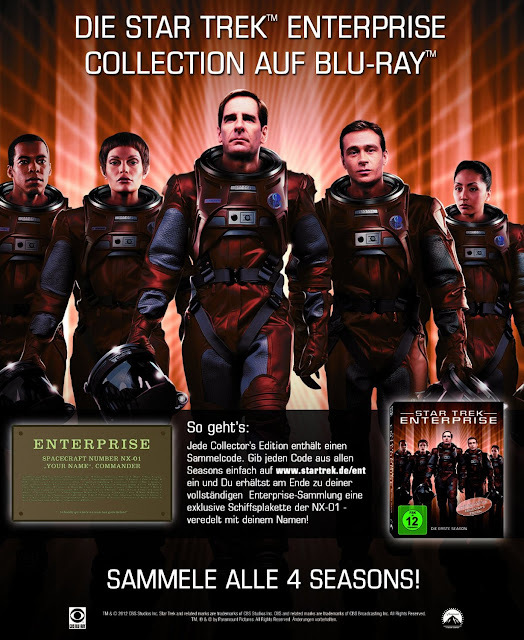 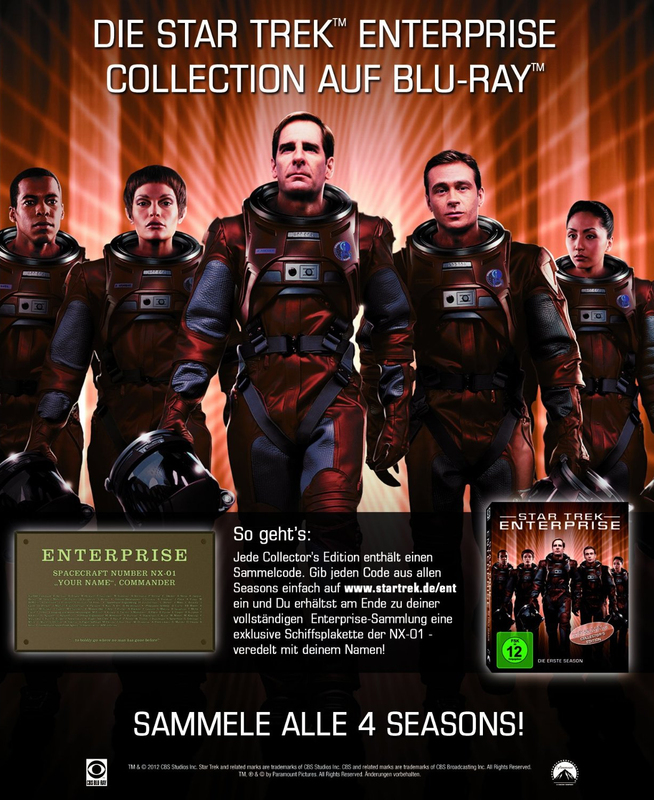 Amazon in Germany have announced their latest exclusive Star Trek home video release. 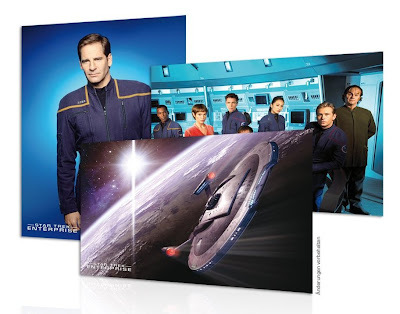 Previously they have done steelbook editions of many of the Star Trek releases, and lately the TNG steelbooks have also come with pin-badges based on the various emblems seen in the series (see previous report). 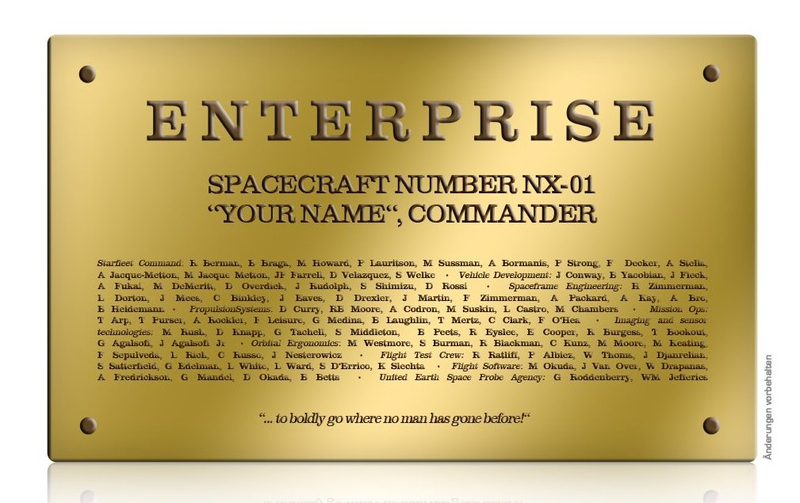 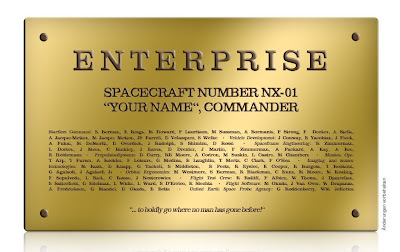 For Enterprise they're really pushing the boat out and including a set postcards with each season!